Philadelphia Eagles fans were pleasantly surprised when reports surfaced Wednesday morning that they had managed to re-sign linebacker Nigel Bradham, despite the common belief that the Eagles' top free agent would walk because of the team's salary cap situation. Even Bradham admitted on Friday he had been nervous the Eagles would be unable to bring him back. Where do the Eagles currently stand on gaining compensatory picks in the 2019 NFL Draft? 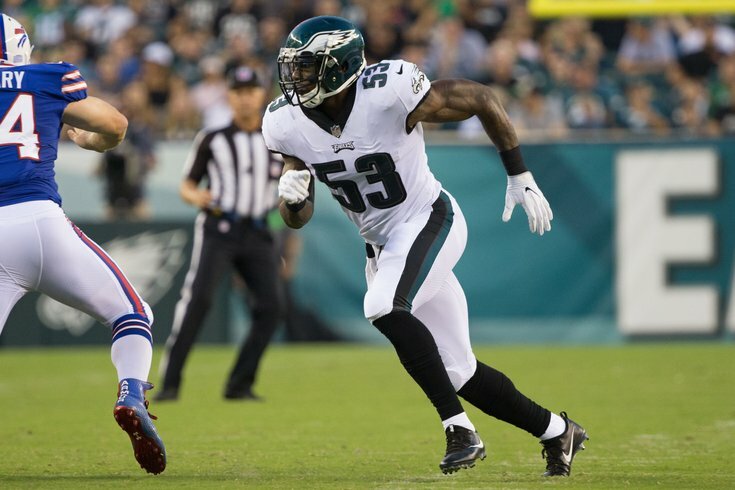 After making an array of roster moves and restructuring multiple contracts, the Eagles were able to lock down the 28-year-old Bradham on a five-year, $40 million contract. The deal was a lucrative one, and rightfully so. But it turns out that the 28-year-old opted to stay in Philly despite receiving a better offer from another team. Joining Sportsradio 94WIP by phone on Friday morning, Bradham told host Angelo Cataldi that his final decision came down to the Eagles and one other team vying for his services. Bradham also talked about the Eagles' defeat of the New England Patriots in Super Bowl LII and told Cataldi that the prospect of continuing to work under defensive coordinator Jim Schwartz played a "major" part in his decision to stay in Philly.